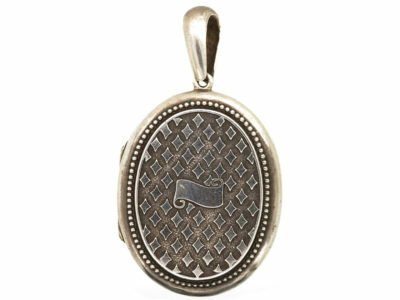 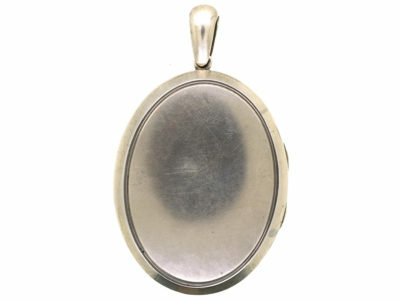 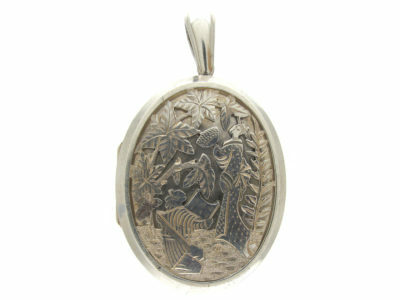 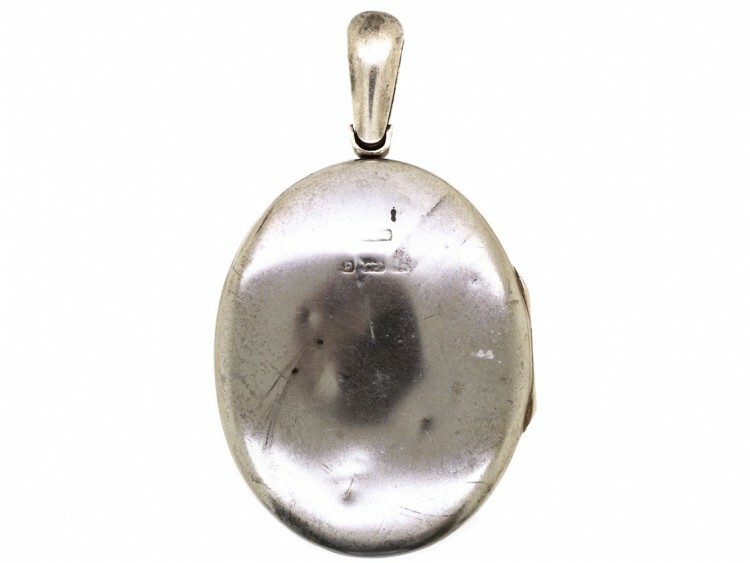 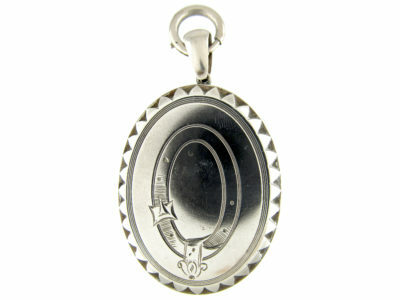 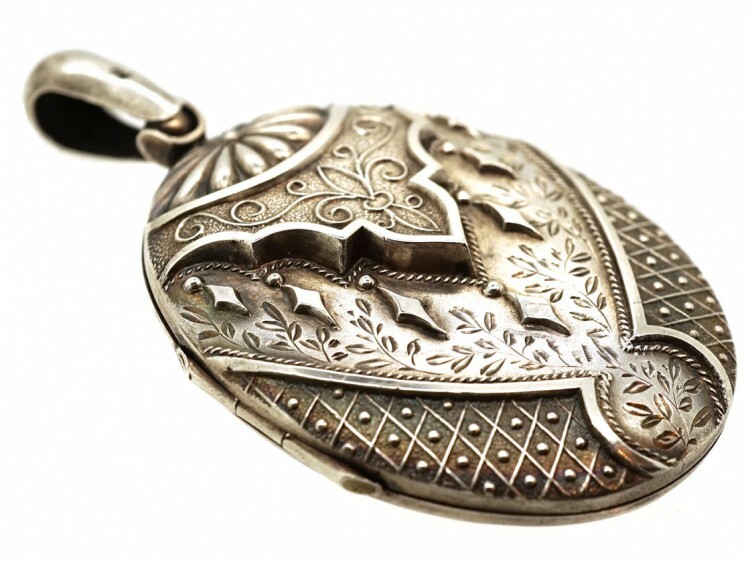 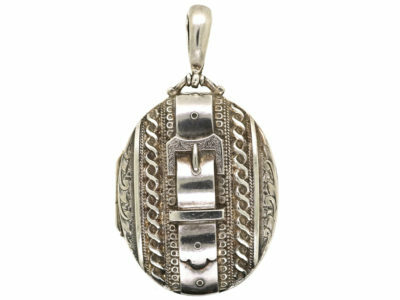 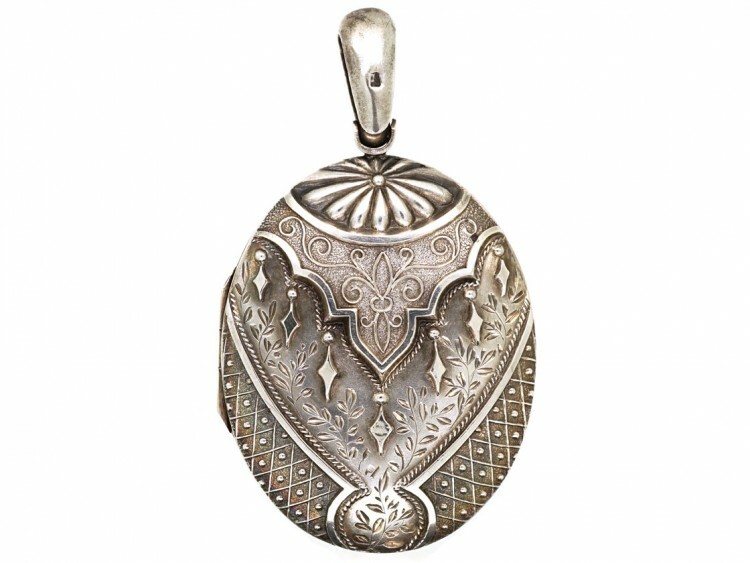 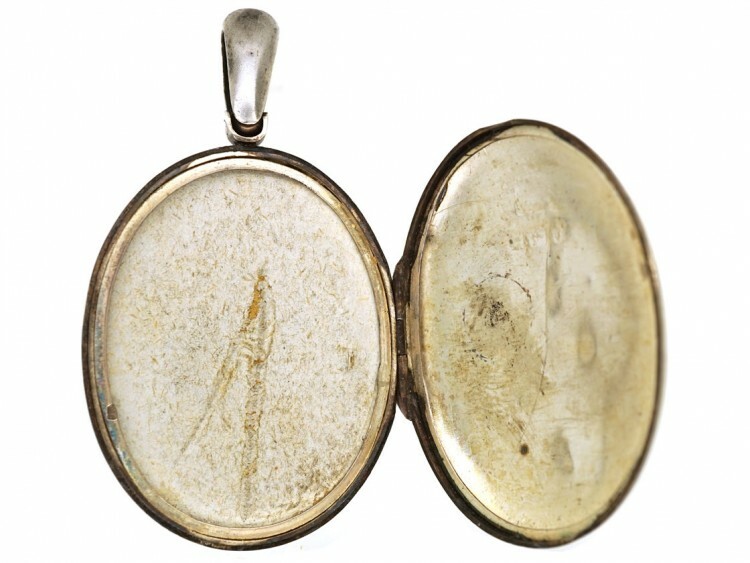 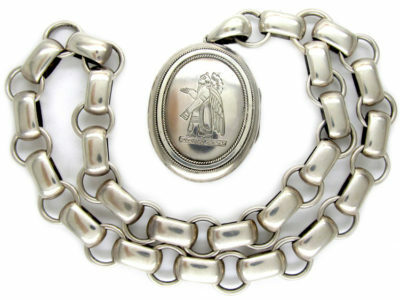 An interesting Victorian silver oval locket with highly detailed layered design. 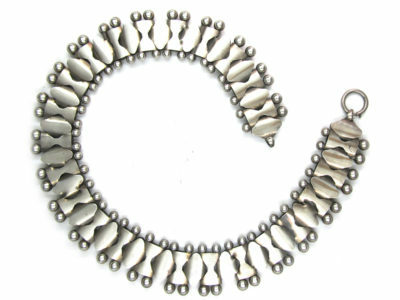 The maker really went to town here. 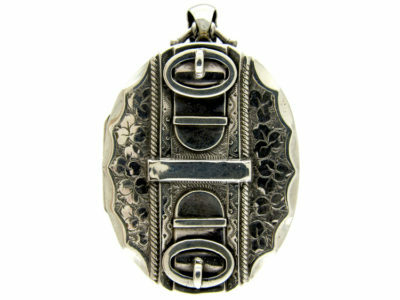 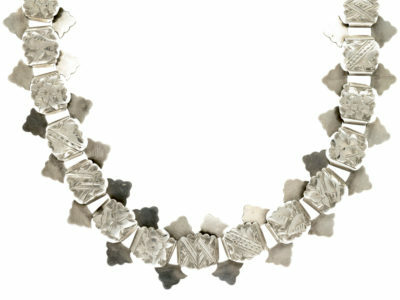 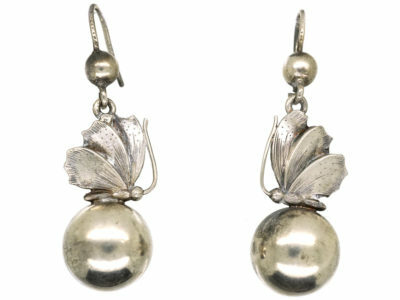 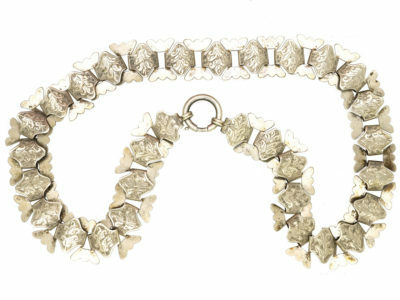 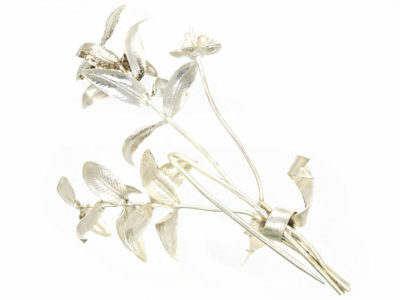 It has everything, reppousee work, engraved detail, raised pieces and applied bobbles and rope work.